Not only does NSSF membership provide that edge, it also helps NSSF fulfill its mission: promoting, protecting and preserving hunting and the shooting sports. 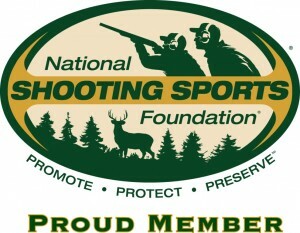 Ranges and retailers who wish to take advantage of this offer (and anyone else interested in joining NSSF) can do so by visiting nssfmembership.com. The deal will also be available to ranges and retailers attending the 2013 SHOT Show during show registration. The deal can also be taken advantage of by mail with this application (PDF). For questions about NSSF membership, contact Samantha Hughes at shughes@nssf.org or Bettyjane Swann at bswann@nssf.org.